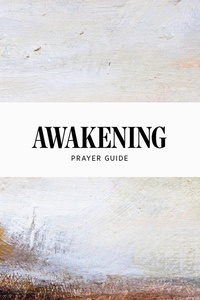 We live in a world that needs awakening, and this booklet exists to help guide you in prayer for awakening. What is awakening? It is a powerful movement of the Spirit of God to convert many people to Christ and to renew in His church a zeal for His truth, for spiritual growth, and for missions. This guide is designed to be used during any calendar year, so each month has four weeks rather than specific dates. Each week of the month focuses on a different group to pray for, starting with you and your family and expanding to larger communities. There is also space for journaling.